want to be an asymmetric supporter? Asymmetric Magazine is an art + music community that thrives on passionate storytelling. Our goal is to discover, showcase and celebrate today's artists and musicians and be the vessel for their unique voices and stories. We started in Los Angeles, and with each featured artist, we aim to capture the ever-changing LA story and bring the city's artists together on a unique platform. In our plans to grow, we hope to extend our reach to artists across the globe. First and foremost, we need funding to expand the Asymmetric team. Let’s face it: We’re maxing out our capabilities with our current bandwidth, and we’re eager to grow. When we rise, we bring artists up with us. With a larger team, we’ll be able to conduct more artist features and have more event coverage across the city. What this means for artists: With more of us, we can reach more of you and help give you the attention and exposure you deserve. What this means for our readers: We can reach more of you, too, and we’ll be able to hit you with MUCH more great content, published more consistently. We’re going to bring our print issues back. We want to keep print alive and give artists a space to share their stories in our print publications, but printing costs are a killer. 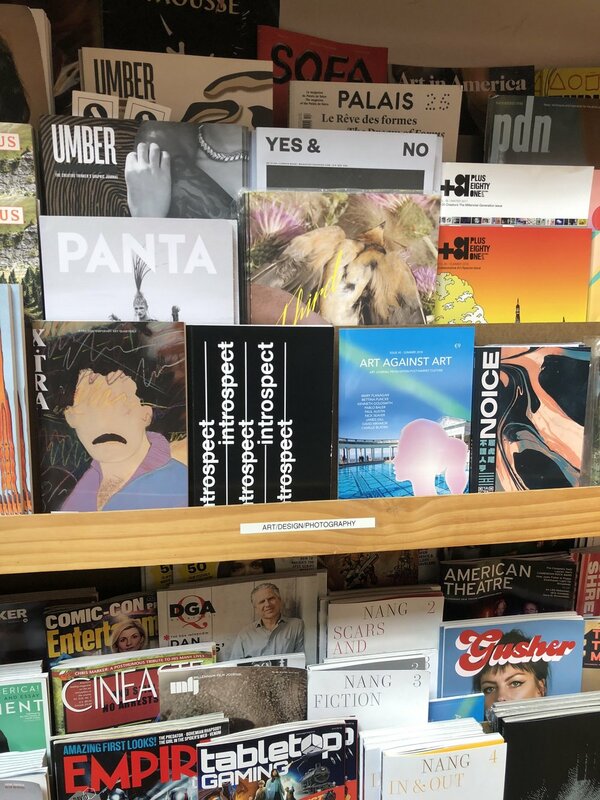 We’ve had the incredible opportunity to be able to establish relationships with a few local LA shops who are currently carrying Asymmetric publications (Skylight Books and Fingerprints Music to name a couple and many more to come). This means as soon as we’re able to start printing regular issues again (ideally quarterly or biannually), we’ll have a larger circulation than ever before. Artists, that’s even more exposure for you. Readers, that’s more ways to read our content plus have high quality, timeless print magazines to line your apartment with. 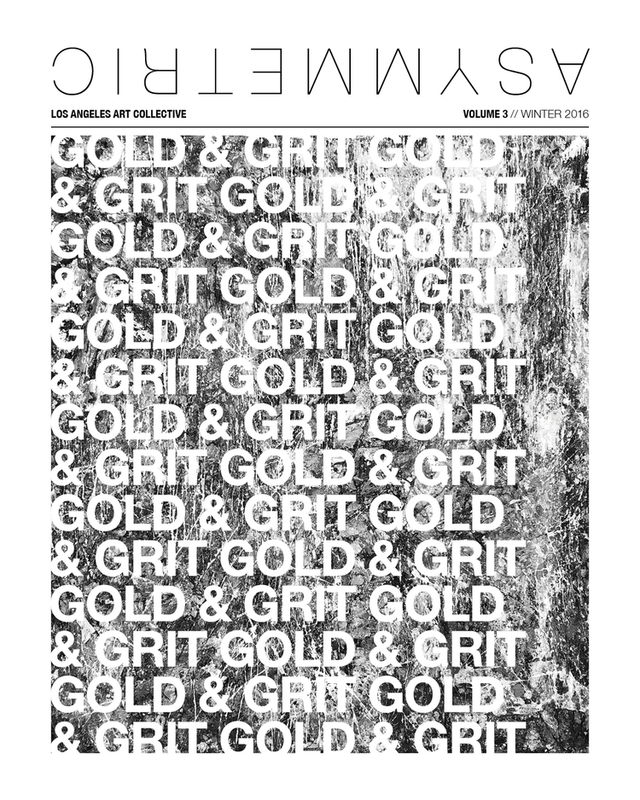 You’ll be supporting local art, music AND print journalism. Your guests will love them, too–we promise! We want to change the way you’re consuming art. One of our larger initiatives is to make art more approachable and accessible to the public. We don’t believe art should only be on view during weekday business hours or–even scarier–“by appointment only”. Similarly, we don’t believe art should be viewed in a quiet, sterile environment at all. We want to bring a unique experience to the people and create an atmosphere to bring people together, encourage conversation and build a community. To us, this means combining art with live music, readings, etc., hosting events on weekend nights when more people can attend, and having a lively bar serving up drinks–just like a party–the way art should be. We also want to make art shows as easy and enjoyable as possible for the artists themselves. We feel group shows are best on a smaller scale, so nothing feels oversaturated or truncated, and each artists has their space to shine. We also want to keep vendor/space fees at a minimum, and we NEVER want to take cuts of artists’ sales. This often means paying more for the right gallery space that won’t take cuts from artists either. We hosted our first two-night group art event Introspect in April of 2018, and we considered it to be a huge success (see more for yourself here). We’d like to gather the funding to host and curate regular, thematic group art shows and multimedia events, plus create printed companion art books for each show. The funding will go towards space rental, merchandise printing costs and paying our live performers, event photographers and lovely bartenders. We’re 100% independent and funded by our readers + the community, so any donation helps us reach our goals. We hope to help expand the amazing community of artists and musicians in LA and bring new discoveries to our readers. Thanks so much for your continued support!